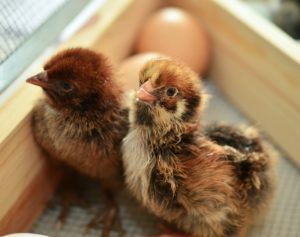 Caring for chicks is simple but you have to make sure you follow a few basic rules when chicks are first born to ensure they stay healthy and thrive. Don’t make the mistake of rushing your chicks from the incubator, if your incubator allows, let the chicks fully dry and stand before removing them. Chicks have no way of regulating their body temperature and in the first couple of weeks they will need a heat lamp in order to stay warm. They will live off their yolk sac for the first three days but providing food and water straight away is good practice to allow the chick to progress to food and water when they are ready. 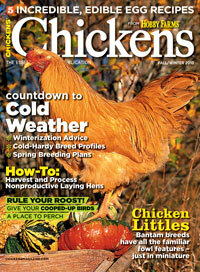 Chicks will naturally grow their feathers and should be ready to be put outside as soon as they are about 6 weeks. Be aware of wet weather when you first put chicks out as they will not fare well in the wet weather. 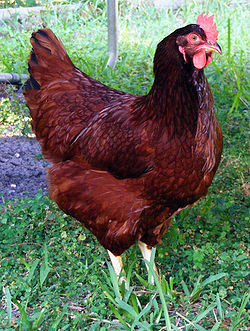 Some diseases are prevalent in chicks especially coccidiosis which can also infect older birds. The disease lives in the gut and is transferred by the faeces. 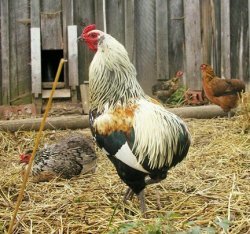 The disease needs warmth and moisture to multiply and wet and dirty coops will make the disease spread through your flock very quickly. If a bird looks ill you must remove it immediately to ensure it doesn’t pass it on to other birds. Keeping the coops clean and dry will also help stop the the spread of infection. Birds with the coccidiosis disease will generally look poorly and they will generally isolate themselves from the flock, they will also suffer diarrhoea, often with blood and they will have a droopy appearance. Likewise chick’s food should remain clean and not simply spread on the floor but placed in a clean container. Water should also be clean and fresh to avoid the spread of infection. Chicks will remain healthy if they have a good food source, shelter and clean living conditions. 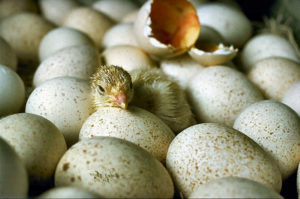 Chicks are particularly vulnerable to disease and should be kept under close observation. 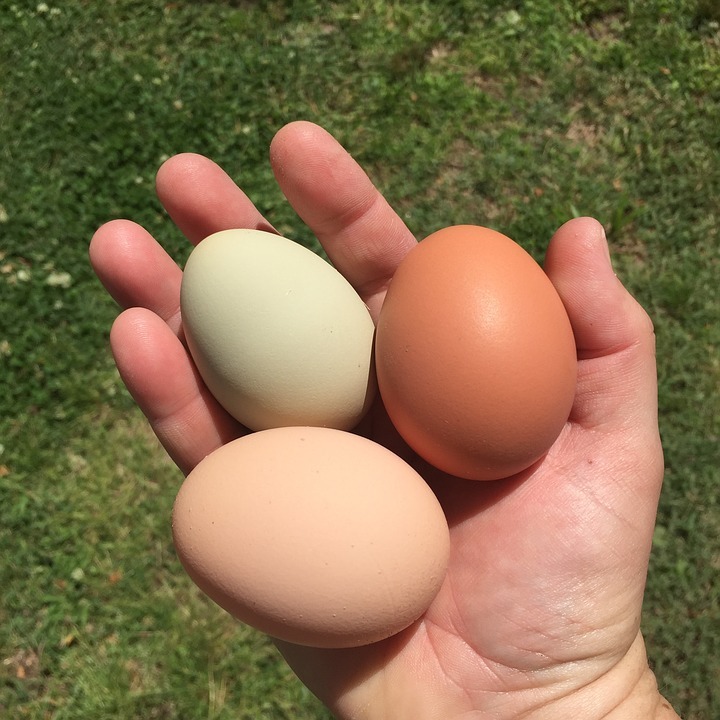 As chicks reach adulthood they should also be observed closely as chickens are also susceptible to disease and once one chicken has contracted any disease, it will quickly spread through your flock. Coops should always be cleaned out at least once a week in order to stop damp, egg boxes should also be kept clean and fresh as chickens are more likely to lay elsewhere if their nest boxes are not clean.